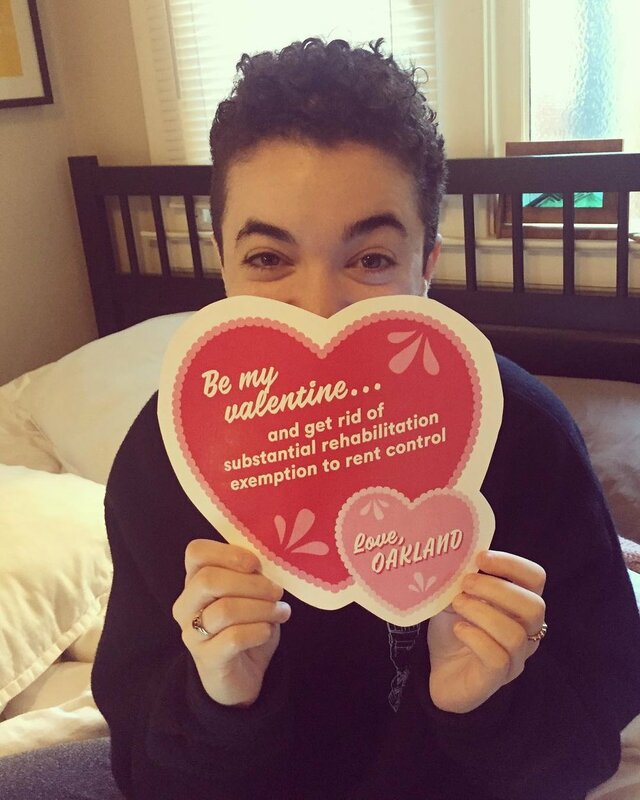 I have someone recently become very involved in Oakland tenant's rights due to my landlord attempting to exempt 14 properties from rent control. 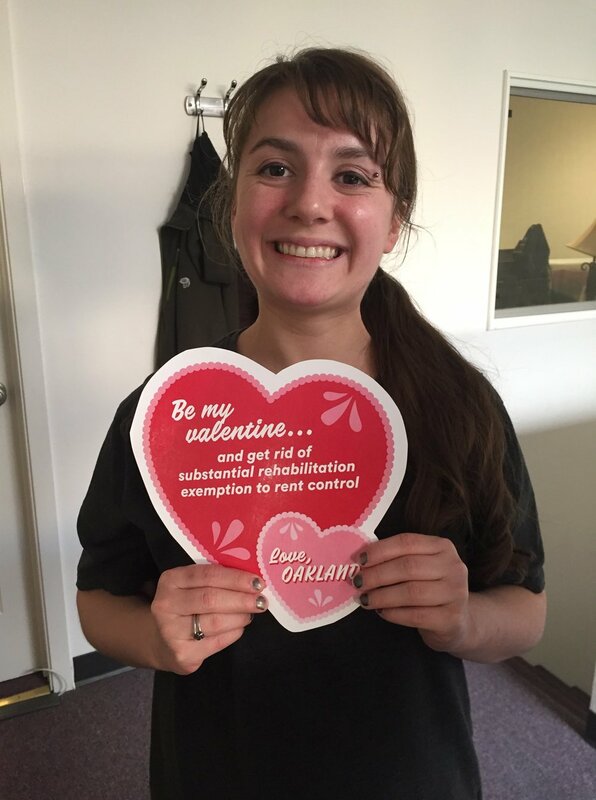 This is a project our group put together to try and get city council to close the rent control exemption loopholes. 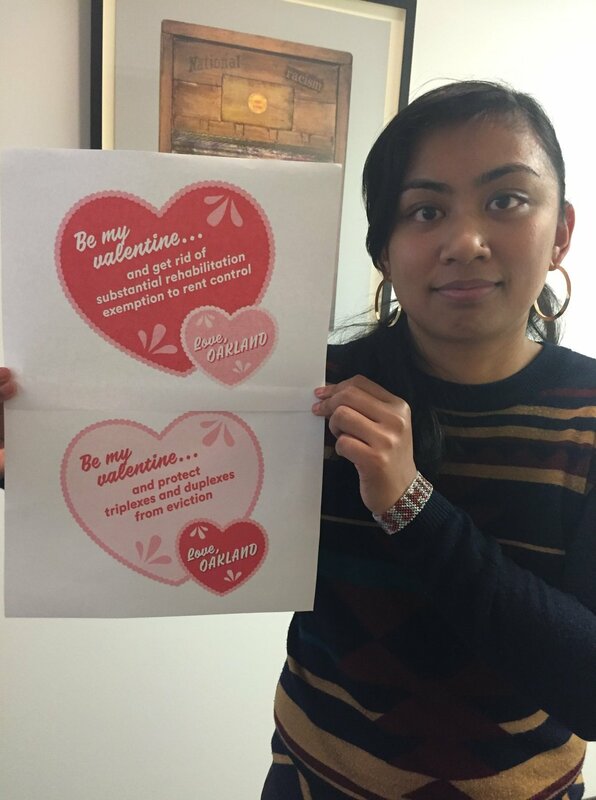 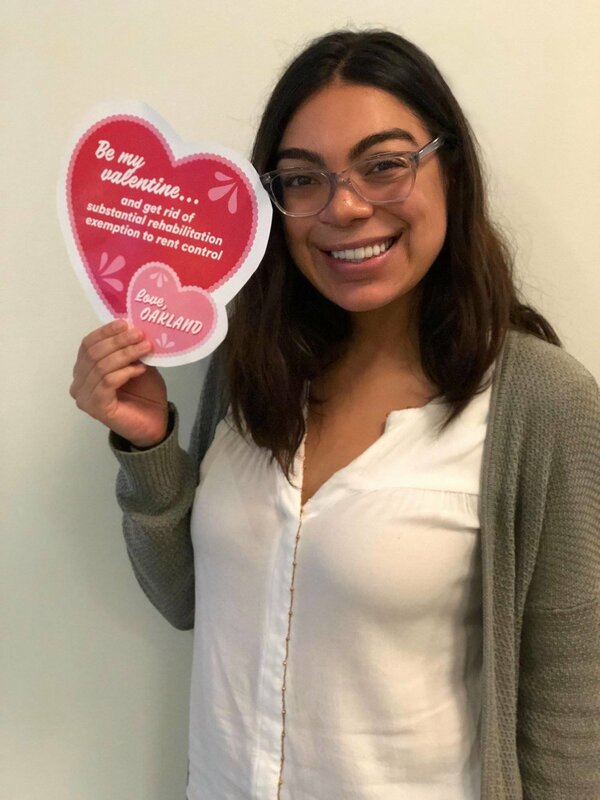 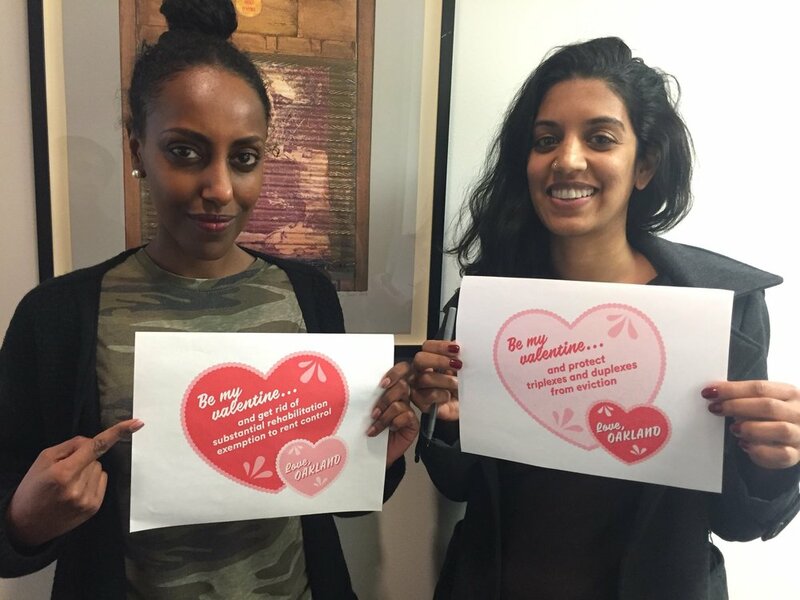 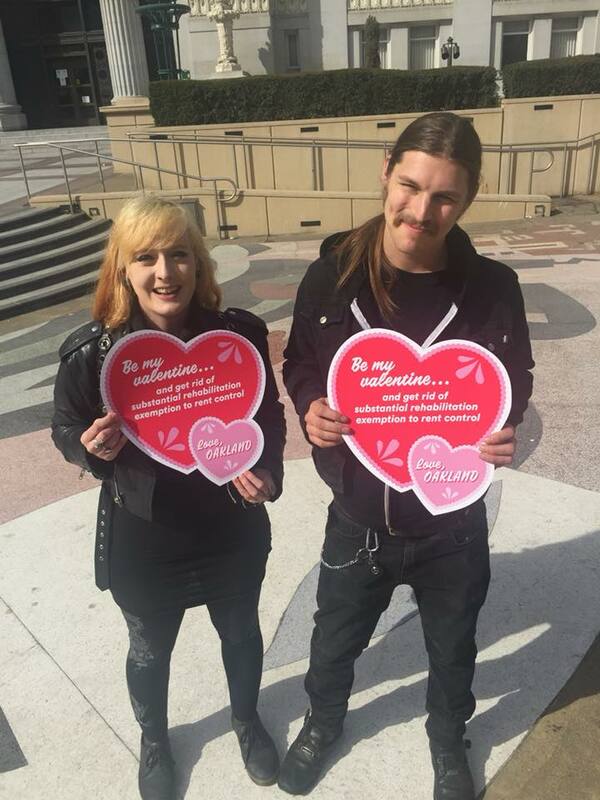 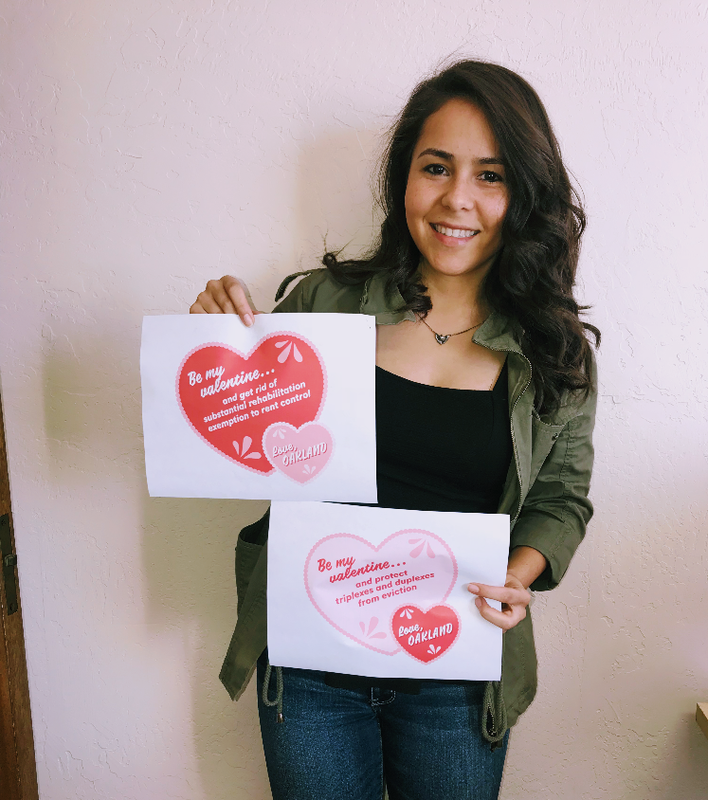 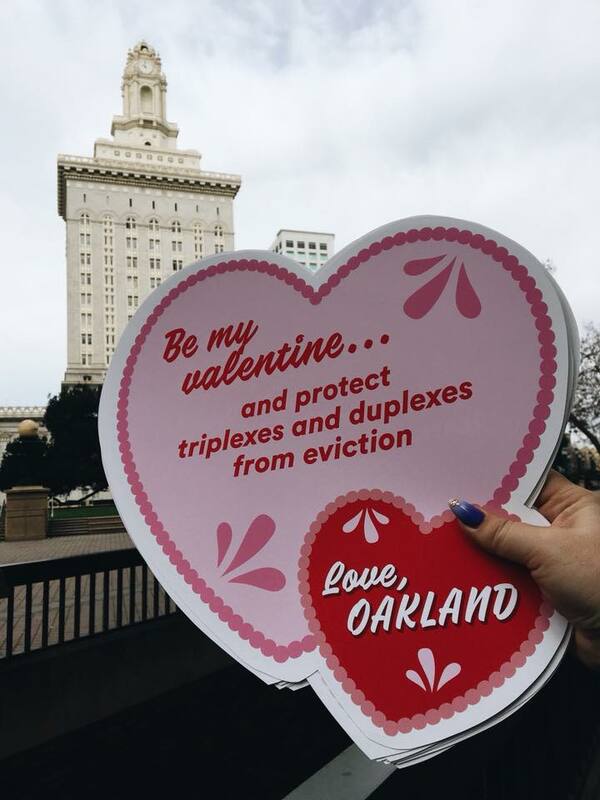 We printed out large valentines to pass out to city council members on Valentine's Day as well as created a visual social campaign to get people to call/tweet/email city council and get the message out.